The following classes are happening during the 2017 seasons. If your community group, school, non-profit, or business is interested in scheduling seminar or workshop contact me today. Stay posted for future class listings and CLICK HERE TO LEARN ABOUT SEMINARS. In this course we’ll take a look at propagating fruit and nut trees, berry bushes, and more. Learn cost effective strategies to produce your own nursery stock and how this can tie into integrated ways of producing an abundance of fruits on your farm. Explore a unique array of fruit producing shrubs, canes, and vines all suited to cold temperate regions; From common to uncommon— thornless blackberry and blueberry to gooseberry and hardy kiwi and beyond. There is a long history of making cider in this country and abroad; learn about the roots of cider making and where it all begins— in the orchard. Like wine grapes, cider apples are unique varieties grown specifically for the craft. This presentation will give you the tools and resources to begin your own cider orchard. This presentation will take a comprehensive look at various strategies for growing fruit in small space. From espalier and cordon training to growing fruit in containers. Great for urban and rural homesteaders alike. Learn more at http://www.ncmich.edu/community-events/corporate-community-education/ . Registration fee: $30, get your tickets here. Trevor Newman, of ecological design firm Roots to Fruits, will share details and stories about common and uncommon fruit and nut crops adapted to Michigan. Learn about obscure old world garden crops like currants and gooseberries, as well as emerging commercial fruits and nuts like saskatoon, honeyberry, hazelnuts, chestnuts, and much more. This class will give participants a dose of inspiration for making their land more fruitful; perfect for anyone interested in orcharding and out of the ordinary fruit and nut crops. This class will provide hands on instruction and overview of the strategies and techniques used for grafting young fruit trees from bareroot rootstock. Participants will take home grafted fruit tree. Learn whip/tongue, v-grafting, and more. In collaboration with Seaberry Orchard this class will provide hands on instruction and overview of the strategies and techniques used for grafting young fruit trees from bareroot rootstock as well as on to older mature trees. Participants will take home grafted fruit trees. Learn whip/tongue, v-grafting, and more. Join us for an exciting day of planting and grafting! Experience hands on training in tree planting, guild design & understory establishment, sheet mulching, and more. 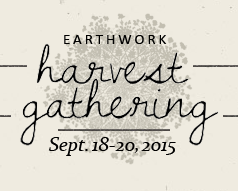 Followed by various field grafting demos including bark grafting, cleft grafting, and more.